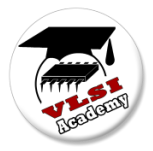 VLSI Egypt is proud to announce on behalf of ICL-ASU this useful seminar that introduces the field of MEMS, that mainly targets junior and senior year Electronics and Mechatronics students. We hope you all benefit from it. Micro-electro-mechanical systems (MEMS) have been available for years, and have been successful in selected high-volume applications. But MEMS design is not as organized as it could be. MEMS design typically requires teams of expert specialists, and is mostly confined to IDMs that have their own fabs. Traditionally, there is also little connection between the design of a MEMS device and the electronic circuitry it interacts with, and the handoff between MEMS and IC designers is ad hoc, manual and error-prone. 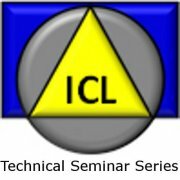 This seminar goes through the traditional MEMS design flow, discusses requirements for a “structured” and automated design flow, and shows an example flow. Mohamed A. El-Sheikh received the B.Sc. and M.Sc. degrees both in electrical engineering from Ain Shams University, Cairo, Egypt, in 1999 and 2004, respectively. He received the Ph.D. degree from the University of Waterloo, Waterloo, ON, Canada, in 2010. From 1999 to 2004, he worked as a research assistant and a teaching assistant at the electronics and communications engineering department of Ain Shams University. In 2000, he joined MEMSCAP - Egypt as a part-time CAD development engineer. In 2002, he switched to RFIC division as a part-time mixed-signal design engineer until the end of 2003. From 2004 to 2010, he was a research assistant at the CIRFE (Center of Integrated RF Engineering) Lab, of the University of Waterloo. During the period, he was involved of development different MEMS processes. In 2010, he joined Si-ware Systems as a MEMS Senior Staff Engineer working on MEMS design and process development. Since 2011, Dr. Elsheikh has been an assistant professor at the ECE Dept. of Ain Shams University. Dr. Elsheikh has more than 10 IEEE conference and one Journal publications. Dr. Elsheikh current research interests include design of different MEMS Sensors and actuators, Energy Scavengers and harvesters, and Modeling of different MEMS components.